Each year, CHRGJ hosts the International Law and Human Rights Emerging Scholarship Conference in partnership with the Institute for International Law and Justice. 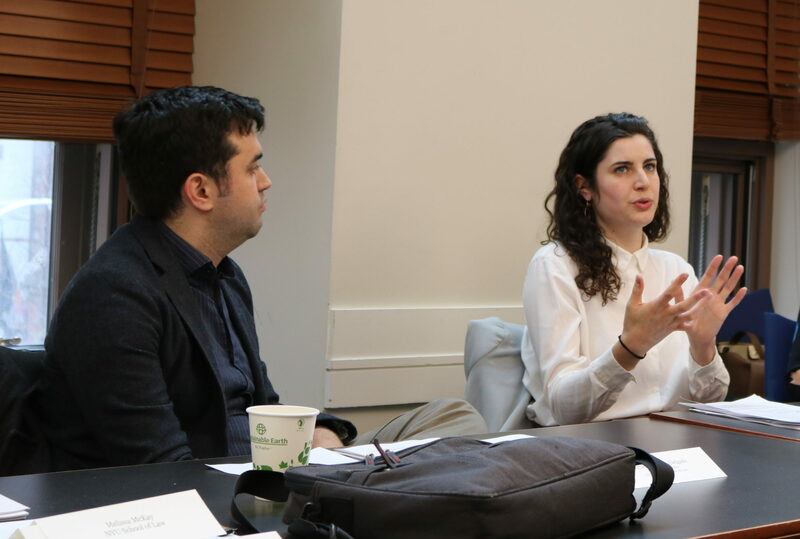 Begun in 2003, the conference has become a cornerstone of the NYU human rights experience, fostering a culture of appreciation for high-quality, engaged scholarship among the law school’s human rights community. Students present original papers and receive expert feedback in a constructive, collaborative setting. Papers presented at this conference have gone on to be published in quality journals, including the Canadian Yearbook of International Law, the Journal of International Criminal Justice, and the NYU Journal of International Law and Politics. All currently enrolled NYU School of Law students are eligible to submit papers. Authors of selected papers will be invited to present their work at the conference, where they will receive comments from an interdisciplinary group of faculty members and practitioners. In addition, one student will be awarded the Global Justice Emerging Scholar Essay Prize for the best paper on human rights. The annual call for papers is announced through our website, social media, and The Docket early in the spring semester. Submission deadlines are in March, and the conference is held in April. Students writing in all areas of international law or human rights are encouraged to submit papers or works-in-progress. There is no strict page limit for submissions, but selected papers will ideally not exceed 30 double-spaced pages. CHRGJ and IILJ are currently accepting papers for the 2019 International Law and Human Rights Emerging Scholarship Conference. Please email questions to Angelina Fisher.